Fontanelice's main resources are agriculture, tourism and industry. Agriculture consists in orchards (mainly apricots and peaches) and vineyards. 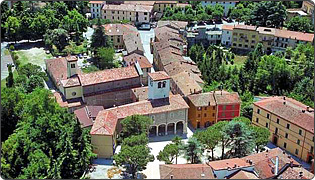 Fontanelice is part of the National Association "Città del Vino" which includes 311 towns producing high-quality wines. It also hosts a renowned biennial cattle show featuring the free-grazing Romagna breeds. Fontanelice boasts a remarkable network of hotels and restaurants. Several festivals and markets are held all over the year. Apart from a growing crafts sector, this area relies on small mechanical, chemical and lumber businesses.